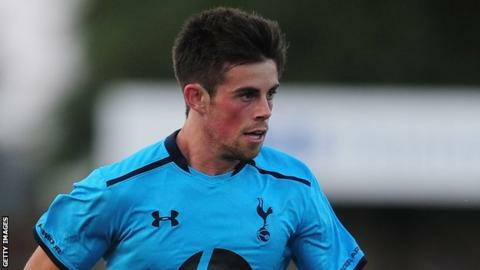 Colchester United have signed Tottenham midfield prospect Kenneth McEvoy on loan until the end of the season. The 20-year-old has yet to make his Spurs debut, but played eight times during a loan spell with Peterborough United this season, scoring once. Republic of Ireland Under-21 international McEvoy was recalled from London Road in November. "It's great that the paperwork has all been done and we've finally got Kenny," said U's boss Tony Humes. Last season, McEvoy was named on the bench by Spurs for a Europa League last-32 first-leg tie at Dnipro in February.